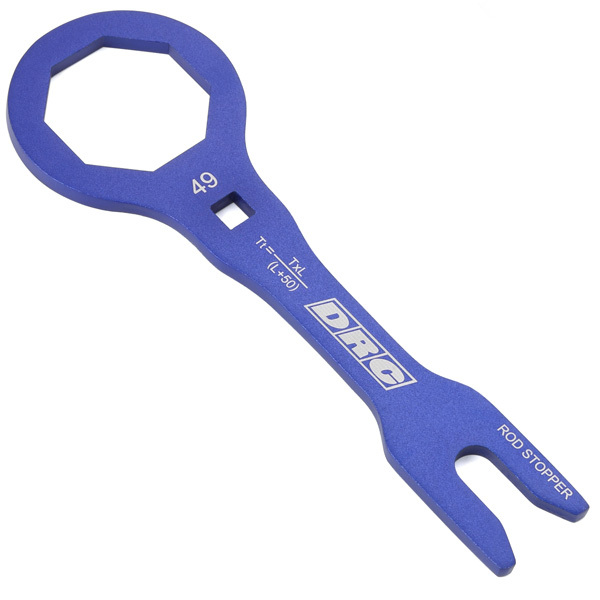 - Aluminum front fork top cap wrench. 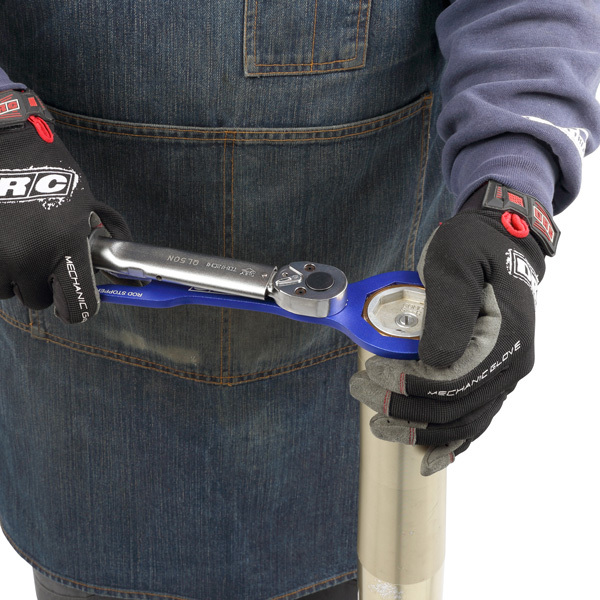 - Allows to disassemble and assemble in one cycle job with a wrench and rod stopper combined tool. 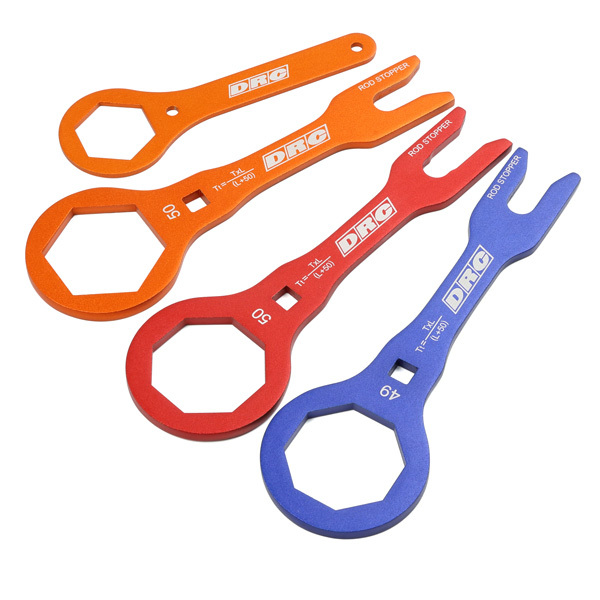 - The closed design wrench grabs the top cap tightly. 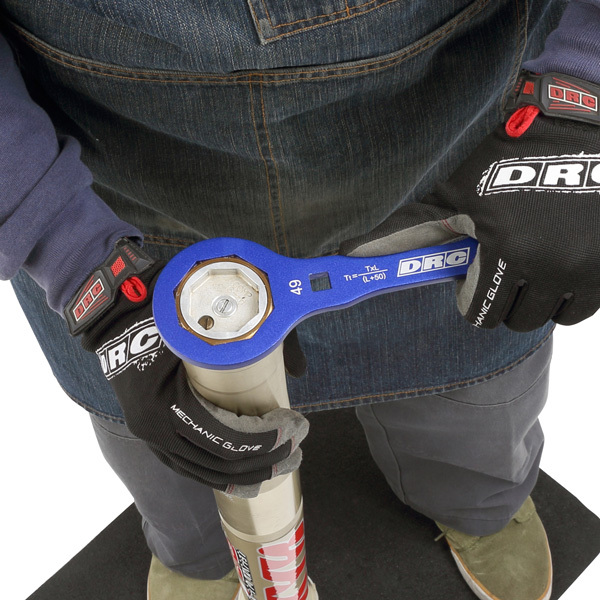 - Provides a hole to attach a torque wrench for maintaining accurate setting. - D59-37-173 for WP conevalve is useful to adjust the spring initial adjuster. 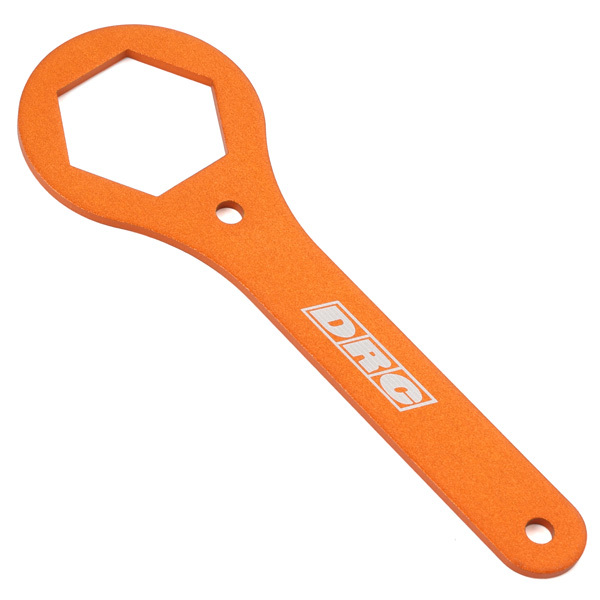 - Available for SHOWA, KYB, WP and WP kit suspension. 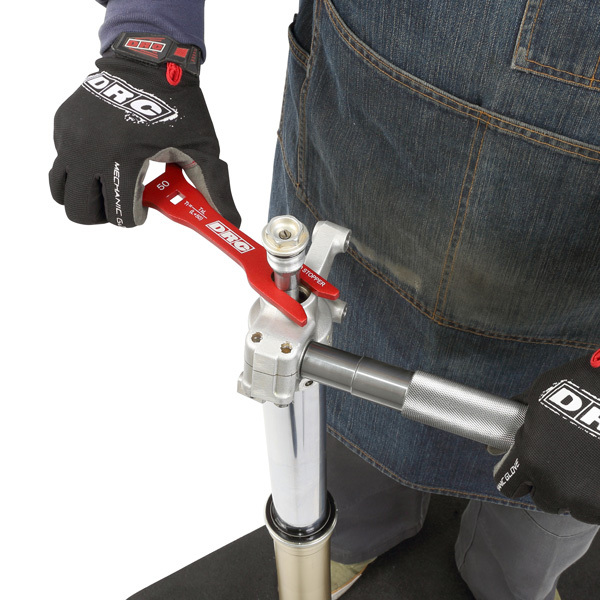 * The front fork must be removed from the bike when servicing.